Anyone that owns an Apple product knows about their proprietary 30 pin connector. In the past this meant that you had to carry a separate sync cord for your Apple devices. 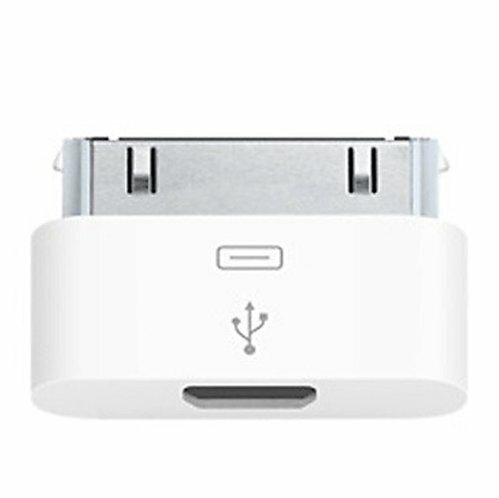 Apple has finally jumped on the international standard by creating a micro-USB adapter for their products. Now you can use the micro-USB cords from your other devices with your Apple electronics. Less cords means a lighter bag. Thank you Apple (finally)! My list is very similar. Two changes are to make a reversible travel vest with lots of well disguised pockets (you can hide them very well by using very lightweight and colorful fabrics, such as Batik). Best designs are on the “safety pockets ” website. Also enables a nice match to your chosen color scheme. Mine has 20 or so pockets and doesn’t show a thing. Under this, I wear a Baggallini teeny bag/wallet across my body. Wonderfully organized little thing! I use Kiss my face deodorant. Liquid, but recanted into a tiny spray bottle. Other than my tinted moisturizer (which I bought out while still available from Clinique), used to use Face Stockholm, but that went away, too! I only carry pencil makeup. Ex: the everything pencil, a lipcolor pencil, which doubles for blush, and one, or two eyeliner pencils(Face is still good for that, soft, but doesn’t melt in the heat. Short nails and neutral polish or none is fine by me, and polish remover pads can be found in most stores. Another handy item that disappeared is the tiny packets of face bleach..now I do that before I leave, carry my remaining one, and pray I don’t need it. I also leave out the clippers, and just take a very small diamond file which I use every other day or so. Always be on the lookout for something useful when you’re waiting for an RX. You may be surprised at what you can find! Thanks for your info…hope mine will be helpful, too.